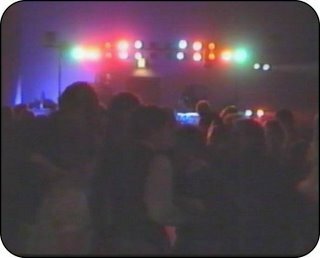 Controlling a light rig with a Commodore! Now this is quite cool...and different. The guys from XenonDisco developed in the 90s a series of software and hardware (that looks like a prop from the movie Wargames) to control lighting rigs for their live gigs. 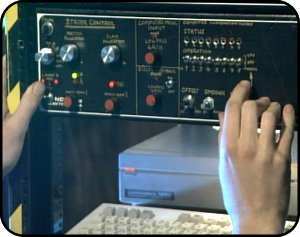 "...First version of the hardware was a quite crude design (called "the triac box") with 8 channels. It basically consisted of 8 optocouplers driving 8 transistors driving 8 triacs. Anyway it fulfilled our demands as we could switch sufficiently heavy loads and interface it directly with a Commodore 64 or 128. 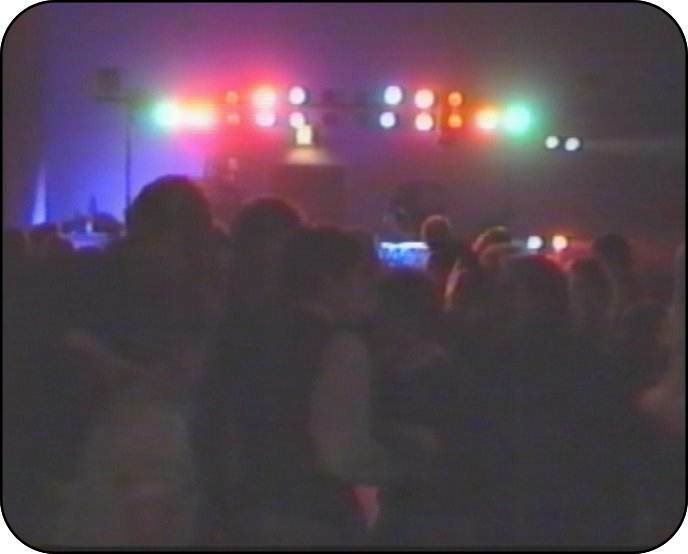 The triac box was mounted in the end of a long bar where 16 colored lights was mounted. The Diabolic box also got dimming-freatures, override-features with audio control (which served as backup incase of a computer breakdown:) Low-pass filtered pre-amps for the audio feed to the computer, etc ,etc. There was always a new feature being added, and the way I remember it we often did the sound checks and then started to play with the new features - we even did a bit of pre-gig-soldering sometimes to tune everything in..."
Full Article here to read all about it and to see more pictures and screenshots. 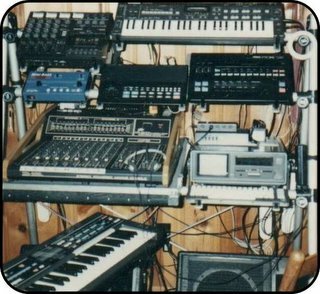 Check out this picture we got in the mailbox from a reader of his live setup 20 years ago with a SX64 controlling all the MIDI gear. Just Beautiful. "...That was in the mid to late 80's. I was using my 65' Gibson ES-335 in live performance through a Tom Scholtz stereo "Rockman" with full midi arrangements, minus guitar and vocal, doing Contemporary Christian Music. The rack provided two (2) Casio multi-timbral synthesizers, two (2) Yamaha Drum sample/sequencers (standard and Latin Percussion) and a 360 Systems Bass module (high quality samples). The SX-64 controlled and sequenced the entire performance using Studio One software..."
Awesome !!! Thanks John for the pic and info ! 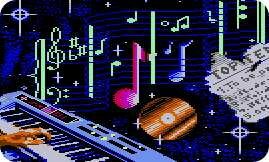 The week started with the release of International Karaoke, appropriate for the frenetic days that we are going through, enjoy a nice opportunity to use the Commodore 64 with your family to sing along your favourite Christmas songs, as you would expect from any decent karaoke software, it displays the lyrics in time with the music. Yeah.. have fun with this one and relax by the fire. Just a few days to go ! The digi is sampled from Billy Idol's "Flesh For Fantasy" but I haven't got a clue of who sampled it into the 64, no credits , no graphics , nada... this is probably one of my biggest traumas of the Commodore 64 era. recorded with an emulator - Thanks Darren! just found out that it was done by Radwar. Check the release info. Read more about Playing digis on the 64: theory, SID internals, $d418 digis, and Pulse Width Modulation in the issue #20 from C=Hacking. hmm... what's this my friends ??? 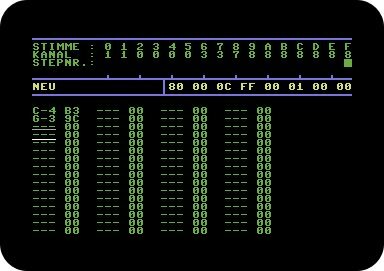 here is the source code of a quite old and basic Step-by-Step monophonic MIDI sequencer for the Commodore 64. I haven't tried it yet so I can't comment on how it works. Seems interesting enough to investigate it further though. I love how the GUI is built in BASIC, how cute... the main engine is written in assembler so it should be fast enough . 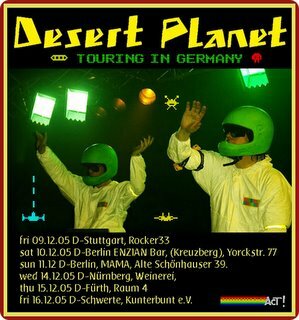 The little documentation is written in german but I guess you will get around with a little help of the babelfish..
Yeah man.. Desert Planet comes back to Germany.. this is the final giglist and finally they have a date in Berlin.. Niiiice one! Thanks Jukka for letting us know! See ya next week !